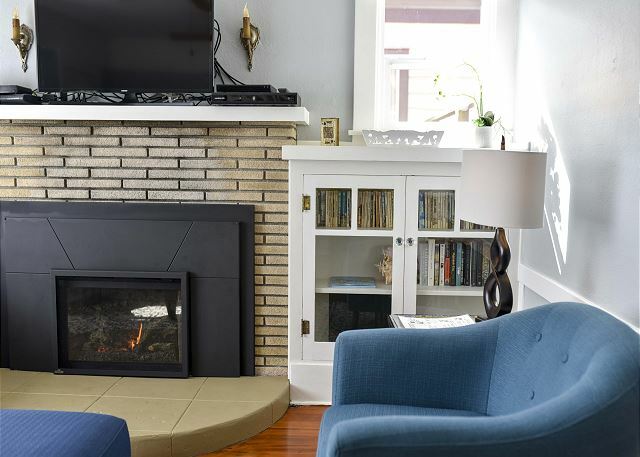 Beautiful furnishing and gas fireplace welcome you to Plaza Casita! Beautifully painted, Plaza Casita is your home away from home. Craftsman style dining room set await you and your guests! 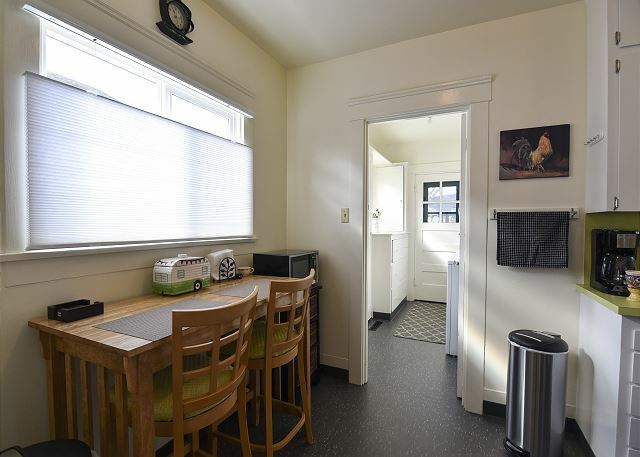 For a quick bite before heading out to explore the redwoods, there's a built in nook for you in the kitchen. Washer/Dryer are so convenient while on vacation, what a wonderful amenity! Plenty of clean towels and hair dryer provided. 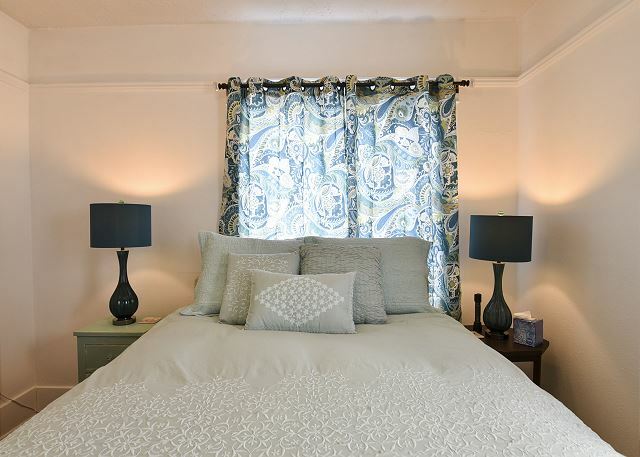 Bathed in beautiful blues, This bedroom will lull you to sleep! With a bed fit for a king, you'll melt away to sweet dreams, There's also a complimentary white noise machine provided for those who need a little something extra! Lots of cozy seating fireside at Plaza. The picture window floods the living room with natural light during the day. 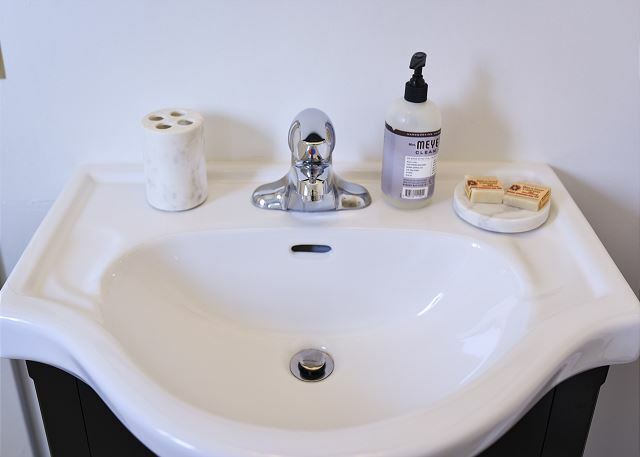 With utility sink if needed, the laundry room is well equipped. 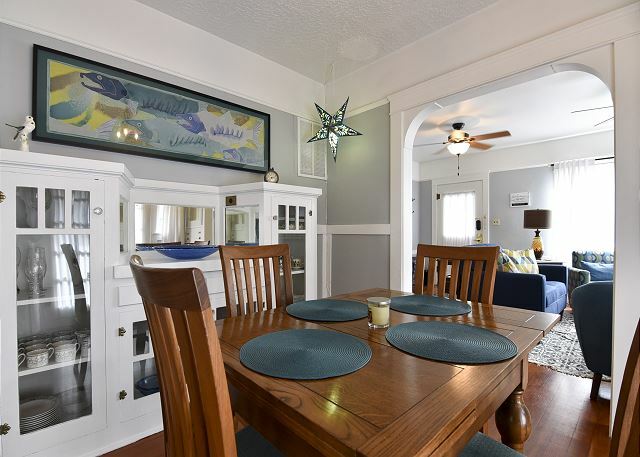 With windows that overlook the back yard, the dining nook is very sweet. Pots and pans provided, as well as everything needed to serve a large meal. 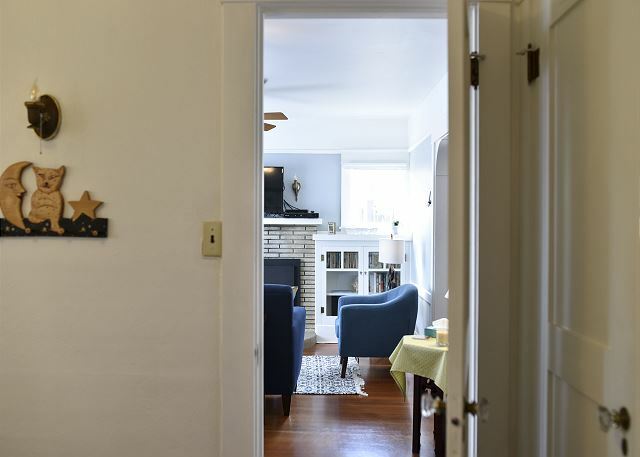 Plaza Casita is two-bedroom, one bath home just minutes from the Arcata Plaza. Featuring all new everything, this home is perfect for your next Redwood Coast Excursion. Designed with the vacationer in mind, Plaza Casita is an unsurpassed lodging accommodation for all to enjoy! As you step in this beautiful home, you’re greeted with original hard wood floors, an original grand fireplace with a modern, gas-burning insert, an inviting sitting area with all new furniture, original craftsman style built-ins and moldings, and of course, a large television that includes cable with a sports package! 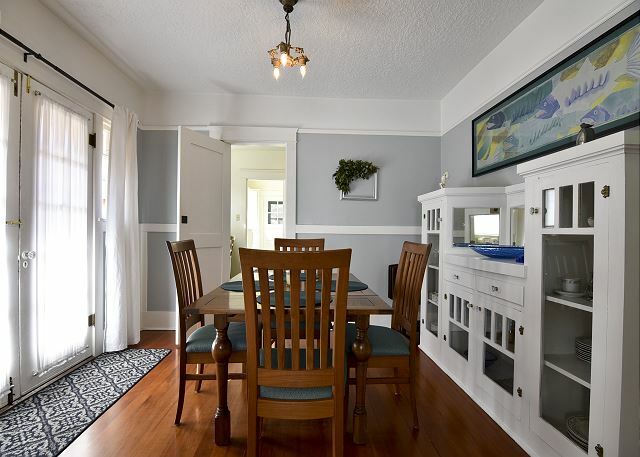 The dining room invites you with classic molding, original built-ins, gas-style chandelier, contemporary art, and beautiful dining table for four. 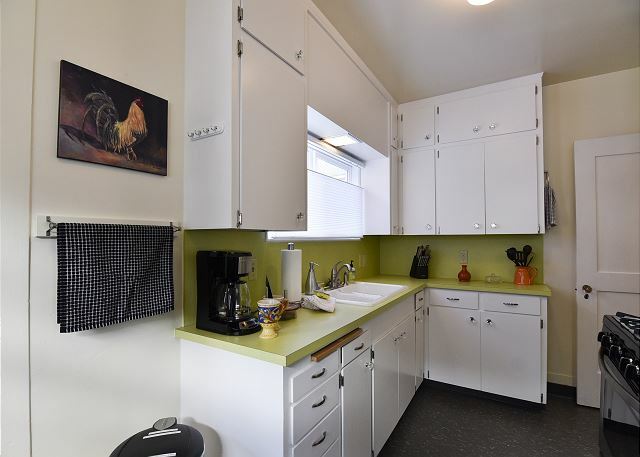 It’s perfect for serving your home cooked meal made fresh from your midcentury-modern kitchen. 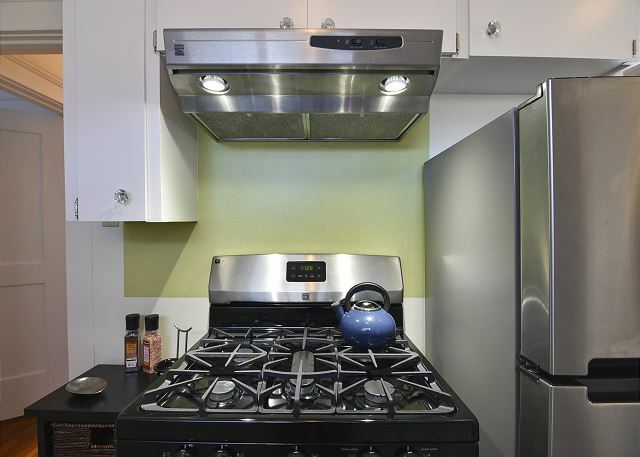 The kitchen is fully stocked all new appliances and all the necessary essentials. The Master bedroom has an extremely comfortable king bed, a work area and access to the Jack-and-Jill style bathroom. 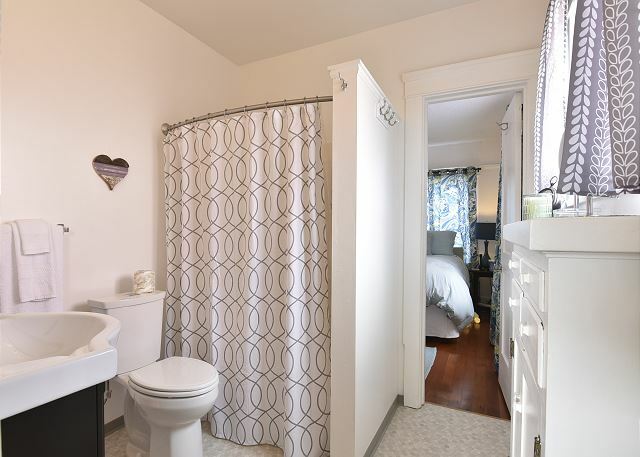 The bathroom is so cute! 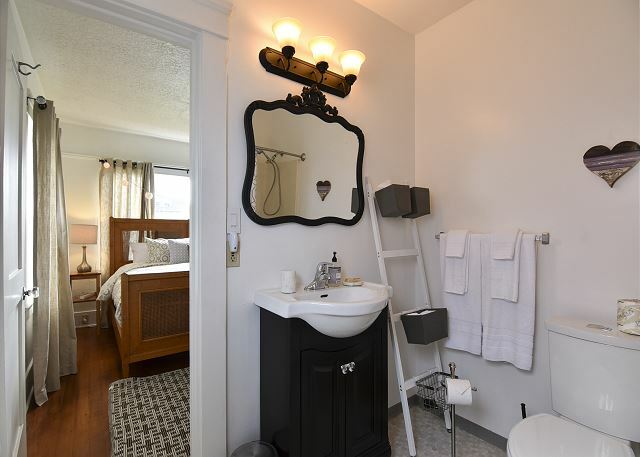 It has mosaic tile, original built-ins, new fixtures and a standard tub/shower. 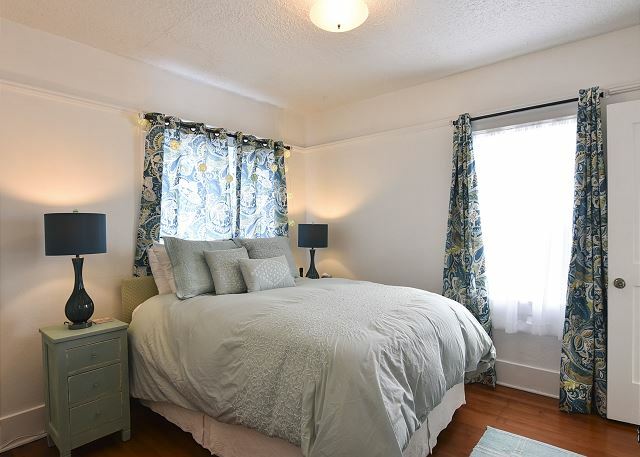 The second bedroom is quiet, clean and modern with a pillow-top queen! 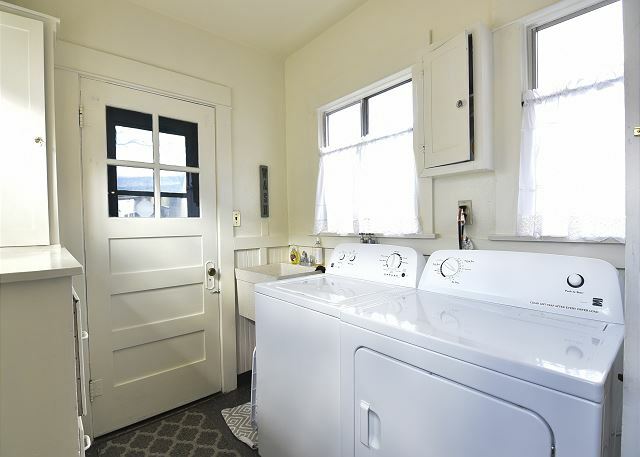 At Plaza Casita, you can get organized and clean during your travels with the all new laundry room, catchup on emails or plan your next destination while connected to highspeed wireless internet, or relax by the fire and watch your favorite shows or sports games. It’s really an amazing place. 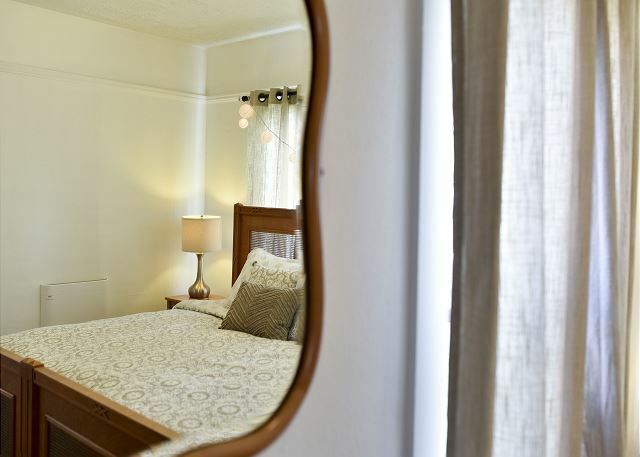 Located walking distance from downtown Arcata, Plaza Casita is a centrally located vacation home that’s perfect for a Redwood Coast Excursion! 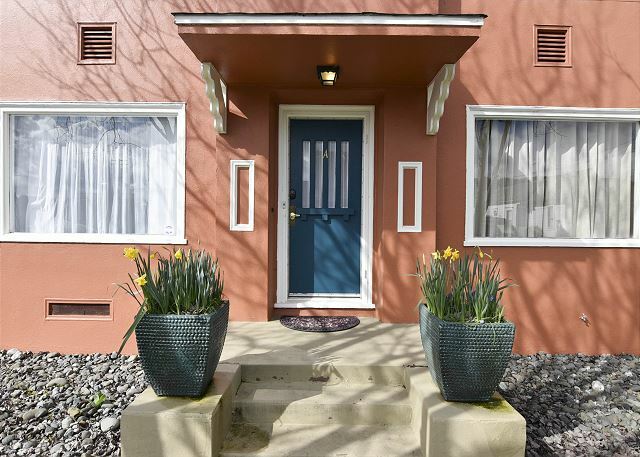 It’s just minutes from HSU, 30 miles south of Redwood National Park, 50 miles north of Humboldt Redwoods State park, a quick drive to the beach, walking distance from the Arcata Marsh, and much more. Enjoy the Redwood Coast in this perfect accommodation! A wonderful rental house. 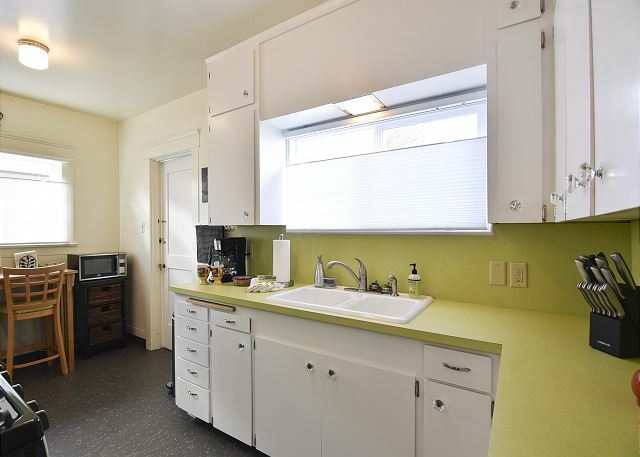 The kitchen was well stocked, the home cozy, warm, and though it is downtown Arcata, it was relatively quiet. Thanks for your review of Plaza Casita. The owner has really thought of everything and the home is cozy and has a wonderful personality. Feels like home! Couldn't be in a better location if your looking to be centrally located in Arcata, just step away from the delicious Brio Bakery, they make the best coffee in Humboldt County! 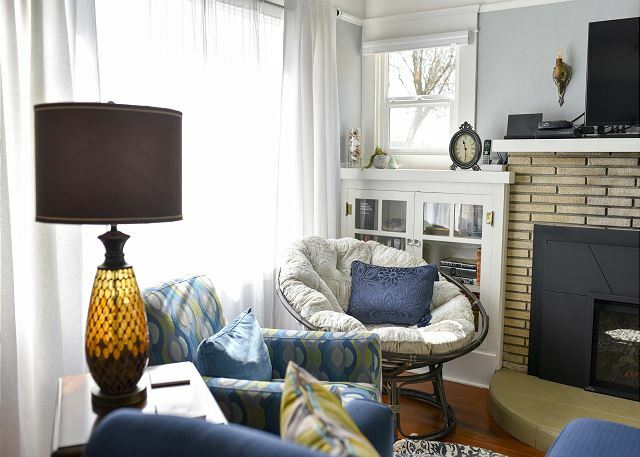 Loaded with charm and lots of thoughtful touches, this is a wonderful rental. Thanks again for you review, we appreciate your feedback! Very relaxing, beautifully decorated, and helped make the weekend perfect. I'm very happy to hear you enjoyed your stay at Plaza Casita. 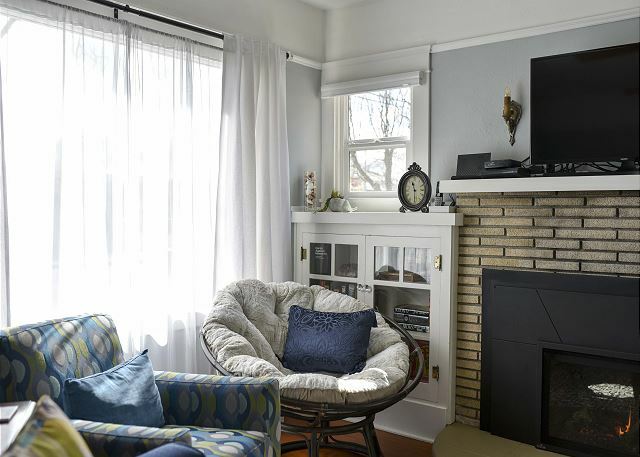 This is such a charming home, well maintained and very stylishly decorated, cozy and comfortable. 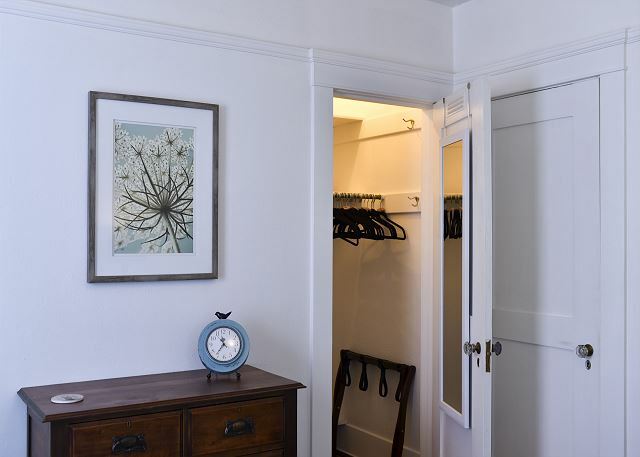 Walking distance to everything in downtown Arcata, it couldn't be more convenient, and just a short car ride to some of the oldest redwood forests in the state. Please come back and visit us again, and look us up at Redwood Coast Vacation Rentals when planning your next visit. With over 120+ properties, there is something for everyone! And thanks again for your review. This is our second time to stay at Plaza Casita. It is just perfect for our visit with our CA family. And so close to the Plaza. An easy walk. 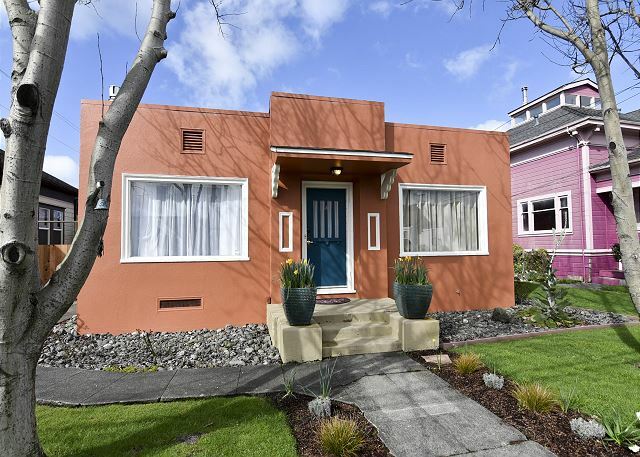 I love Plaza Casita also, such a charming property, so close to the plaza and walking distance to anything and everything Arcata has to offer. The farmers market is just a couple blocks away every Saturday morning, nearly year round now. And don't forget to try Cafe Brio, they make some of the best coffee around. Thanks again for leaving a review of Plaza Casita, we look forward to having you back again soon! Look us up at Redwood Coast Vacation Rentals when planning your next trip to the North Coast! Beautiful well appointed home. Comfortable beds with great linens. We were very happy with our stay. Thanks for taking a moment to leave a review of your stay at Plaza Casita. It's a very comfortable home, with loads of charm and warmth. The owner takes a lot of pride in the home and I think it shows in the way the home shines. We look forward to your return to Plaza Casita, please look us up at Redwood Coast Vacation Rentals when planning your next trip to the North Coast! With over 120+ properties there is something for everyone. I love the proximity of this home to the Saturday Farmers Market on the Plaza in Arcata, a couple of blocks, which runs nearly year round these days. Thanks again for taking a moment to leave a review, we appreciate it very much. The house was immaculate, cozy, comfortable, and convenient. Took us a while to warm it up with the gas fireplace, but it added ambiance. Biggest bed I ever slept in. Could have managed with less pillows. Bring your own reading material unless you like Louis Lamour, or walk a few blocks to local bookstores. Many restaurants, shops, the farmers' market all in easy walking distance. Steps to entry and patio could use railings for those of us with mobility challenges. Overall, very nice place! Thank you for leaving a review and for the great feedback, I will talk with the owner about adding some support to the railing on the porch. 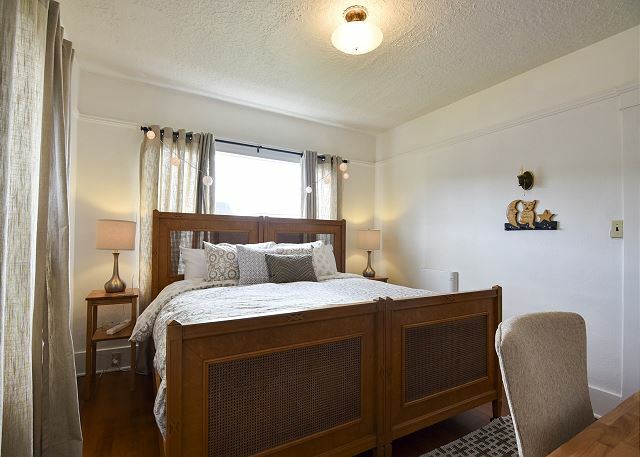 There are wall heaters in both bedrooms, and we've also added space heaters to the property as well, so that should go a long way with providing additional heat. I hope you'll return to Plaza Casita again, we look forward to your return to the North Coast! There is so much to see and do here that one visit isn't enough! Look us up at Redwood Coast Vacation Rentals when planning your next trip to the North Coast, and thanks again for the review. We rented this two bedroom house about two blocks from downtown Arcata for three nights. The house is neat and clean and exactly as described. The location is perfect if you want to spend time in Arcata and walk to the Plaza for shopping, restaurants etc. We walked to Humboldt State one morning, logging a total of about 3 miles on our pedometers roundtrip. Arcata is a good location if you want to use Mad River Beach or go into Eureka but it's also close enough to visit Trinidad and Ferndale. G Street is very close to Highway 101 & is one of the main streets in Arcata so traffic is heavy. We expected to hear street noise and we did, but by evening the traffic had lightened and even in the street side bedroom we didn't have difficulty sleeping. We didn't need to speak to the rental manager or owner while we were there, but the one email we sent about the final payment was answered the same day. We attended Humboldt from 1966-1970 and travel to the area often. We love the beaches and on this trip, as usual we spent part of our trip in Trinidad and part in Arcata (Occasionally we stay in Eureka). Favorite beaches include Trinidad and Mad River. We used to love Luffenholtz but are getting a bit too old to easily get down to it. We often hike at Patrick's Point and Prairie Creek State Parks, and did short hikes this time but didn't do the hike to Fern Canyon, which is spectacular. We did the short hike up to the Lady Bird Johnson Grove in the national park near Orick, and it is very accessible. Favorite restaurants include the Larrupin Café in Trinidad, The Eatery in Trinidad (breakfasts) and Moonstone Grill. In McKinleyville we like the 6 Rivers Brewery and in Eureka the Sea Grill and The Lost Coast Brewery Café. The Samoa Cookhouse is a fun place for breakfast. This trip we discovered Slice of Humboldt Pie in Arcata Oh my - so very good. Other activities we've enjoyed include the Humboldt Bay boat tour, the Lost Coast Brewery Tour and trips to Ferndale. Wow, what a fantastic and through review! What an amazing stay you had, and I love that you let us know what you love about the property and the North Coast! We look forward to having you back again, please look us up at Redwood Coast Vacation Rentals when planning your next trip to the North Coast, and thanks again for your review! Plaza Casita was our home base for my son's wedding. The house was perfect size, close to the town square and overall just lovely. I agree, Plaza Casita is a wonderful home, and we look forward to having you back if you find yourself on the North Coast again! Thank you for staying with us and also for taking a moment to leave a review of Plaza Casita. Look us up at Redwood Coast Vacation Rentals, with over 100+ properties, there is something for evreyone! Excellent quaint home for rental. Safe, quiet, easy access to plaza and marsh. Washer and dryer was a plus. We had no plans to use it, but it came in handy! I always appreciate a washer/dryer on site, you never know when you might need one. Plaza Casita is such a charming home, we are happy we can offer it to guests to enjoy and use as their home away from home! Please come back and visit us again soon, we look forward to your return. Look us up at Redwood Coast Vacation Rentals when planning your next trip to the North Coast! The house was very clean,well stocked for cooking and a family meal,nicely decorated, and just a couple of blocks from the Arcata plaza. Our bathroom light was functioning,and the property management staff were quick to respond. It was a bigger electrical issue,but they were able to place a lamp to give some light. Had a couple of technological hiccups getting the rental agreement from the management company, but was able to get that resolved after a couple of emails and phone calls. Overall,a very nice stay! Thank you for taking time to leave a review of Plaza Casita, and for being great guests! We were so sorry we couldn't immediately fix the issue with the bathroom lights, but you were very understanding. We would love to have you back anytime, I will talk with the reservationist and see what the hiccups were and how we can do better. Your feedback is really important, so thanks again for taking a moment to leave a review of your stay, and please look us up at Redwood Coast Vacation Rentals when planning your next stay on the North Coast! House is as advertised. Great central location and very well appointed. Thank you for your review, Plaza Casita is a gem, conveniently located in downtown Arcata, walking distance to the seasonal, but nearly year round, Farmer's Market. Cute and cozy the owner has thought of everything for the guests comfort. We would love to have you back again soon, please look us up at Redwood Coast Vacation Rentals when planning your next trip! 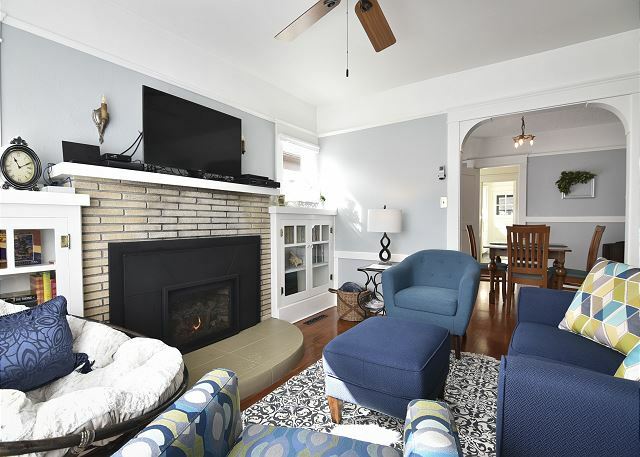 Very cozy living room with a gas fireplace. You can walk two blocks to the Arcata Plaza for shopping, groceries and Saturday Farmers Market. There is room to park one vehicle off street next to the house. Well supplied, comfortable beds, nice dining table area. We would definitely return to this great vacation rental. So happy to hear you love Plaza Casita as much as we do! It has such charm, and for the coming warmer months, a great patio to sit and enjoy the fresh air while grilling a delicious meal. We look forward to having you back soon, please look us up at Redwood Coast Vacation Rentals when planning your next trip. Thanks for leaving a review! Great location, clean, comfortable, would definitely stay again. We love Plaza Casita! it is such a cute and comfortable home, the owner clearly spent time anticipating the guests needs. Thanks for staying with us and we hope to have you back soon to Plaza Casita! Cute, well-furnished, pleasant.....but a little chilly! My wife and I stayed for three weeks while work was done on our home. There was of course a little street noise but we were prepared for that. It's on the main drag into downtown and that made it very easy to walk anywhere we needed to go. 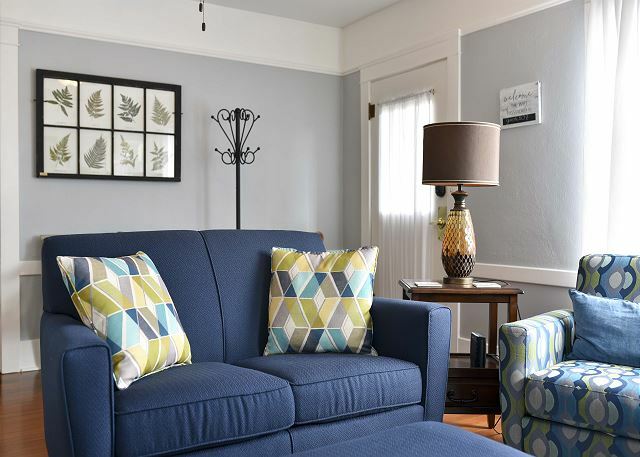 We found the home to be clean, thoughtfully decorated, and fully furnished. We especially appreciated the complete kitchen, washer, dryer. The living room was very comfortable, internet and cable TV worked great. The master bed set-up was to our liking; moderately firm with a resilient top layer to offer a little give. Folks who prefer hammock-like smushy softness might prefer something else. Hot water worked very well but it was a challenge to get the entire place warm enough during the cold wintertime weeks we were staying there. The fireplace insert worked quite well to heat the living and dining areas but the back rooms were quite chilly to occupy despite following the instructions and running the ceiling fans to move air around. Once we were under the covers we were warm enough in bed. On temperate nights I'm sure the home would be much more agreeable to most folks. Thank you for taking time to leave a review of your stay at Plaza Casita. 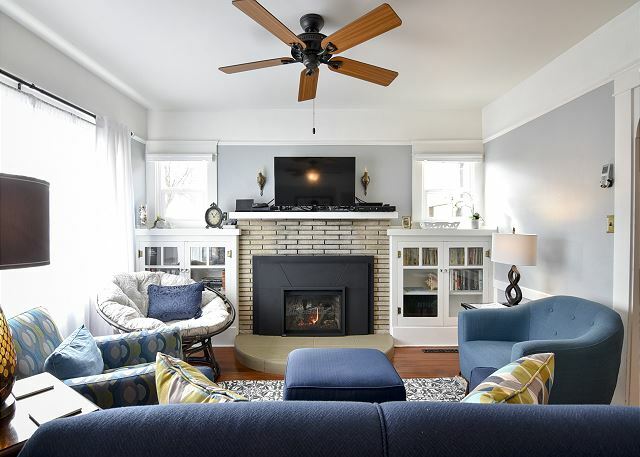 It was certainly cold during those three weeks, and the owner has placed additional heaters in each bedroom and bathroom, to warm up those rooms toward the rear of the home. And if you need more warmth, you can always call your property arrange a space heater to be delivered to you, we don't mind, it's what we're here for! Plaza Casita has loads of charm, including a cute courtyard style patio with new BBQ you could come back and try in the warmer months! Thanks again for staying with us and leaving a review, we appreciate your feedback very much. I loved this house. So cute and in a great location. Easy walk to the town plaza. Close to restaurants, grocery store, and easy access to the highway. 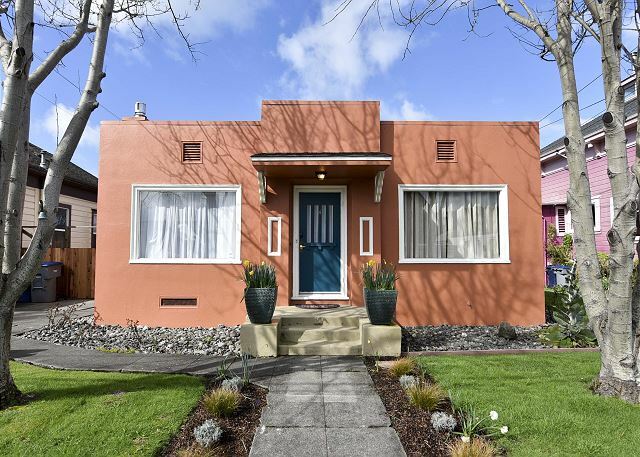 If you're planning on staying in Arcata, this is a quaint house, with everything you need for a comfortable stay. Thanks Carolyn for taking a moment to leave a review of Plaza Casita! We love this home for it's location, and also the style of the home, very modern with luxe finishes. Lots of consideration for guests comfort went into the furnishing of the home and we think it shows! Look us up at Redwood Coast Vacation Rentals, and please tell a friend, with over 100+ properties, there is something for everyone! 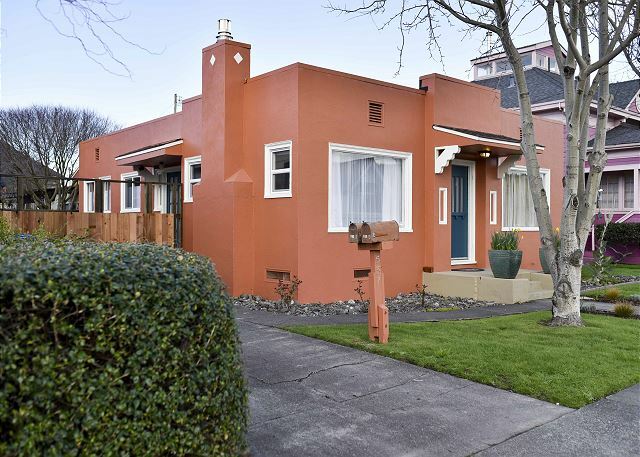 Beautifully maintained bungalow, very homey and very close to the plaza in Arcata. Comfortable furniture and beds, beautiful hardware floor, couldn't be nicer. Thank you so much for staying with us at Plaza Casita! We are so pleased you loved the place, everyone seems to really enjoy it there. We put lots of care into all our places and we appreciate it when our guests take note! See you next time! La Casita was very nice! This home was clean, well appointed and comfy! The location was perfect! The fireplace made for cozy evenings. Plaza Casita is a wonderful, well decorated home, and the owner took every consideration of the guests comfort into account when decorating. We are so happy to hear you enjoyed the home! We look forward to having you back soon to Plaza Casita, so please look us up at Redwood Coast Vacation Rentals when planning your next trip to the North Coast! Wonderful, comfortable, well appointed home with great amenities. 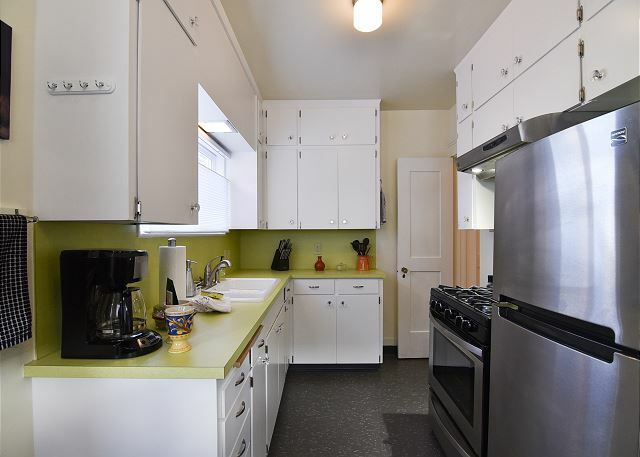 Close to the Arcata square, walking distance to restaurants, shopping, and the Saturday farmers market. Glad to hear you enjoyed you stay at Plaza Casita! 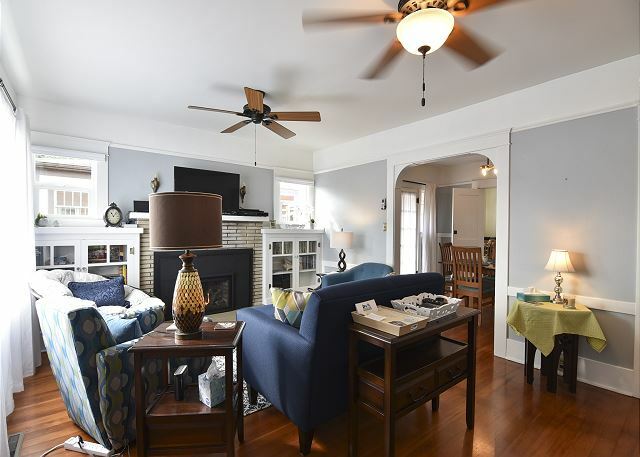 It is such a cozy and well furnished home, we're lucky to represent the property! We hope to have you back again soon, visit our website at Redwood Coast Vacation Rentals when planning your next trip to the North Coast! With over100+ homes there something for everyone. Our third stay in an Arcata home and this one is our favorite. It is close to town, fresh and fun decor with everything you could want or need. We plan to try and book it another time. So happy to hear you love Plaza Casita as much as we do! The owner has a great eye for decorating, without it being fussy. 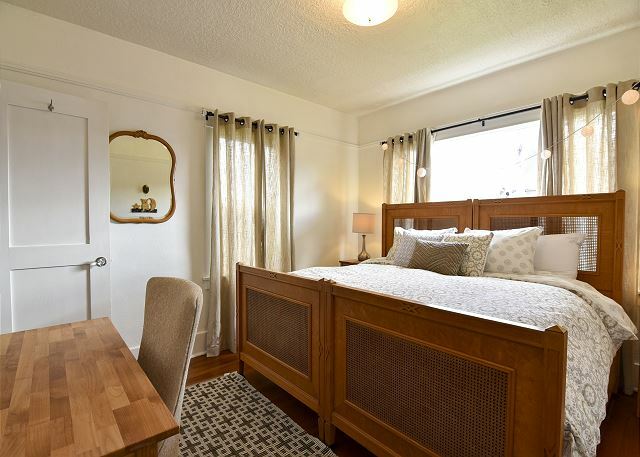 It's a very comfortable home, close to all amenities, plus being a short car ride to beautiful Redwood forests. We are thrilled you'll be returning to Plaza Casita, please look us up at Redwood Coast Vacation Rentals for your next stay. Thanks again for taking a moment to leave a review of Plaza Casita! Cute, comfortable cottage. Spotless interior, furnishings look new, well provided kitchen, Netflix is greatly appreciated. Liked that there were lights & music on for our late arrival. Also glad to have off street parking. Don's Donuts is in walking distance, which could be good or bad depending on your diet. There was some road noise at night but that's to be expected on the main drag, 2 blocks off the square. This gem is a great value compared to a boring hotel room across town. Would definitely recommend it or book it again. Thank you Lisa for leaving a review of Plaza Casita! We love this home! The owner has thought of everything for guests to feel relaxed and comfortable. And it's decorated so beautifully, it really feels like your staying in a home that's loved and cared for, which of course, it is! We're so happy you loved it too. There's also a great outdoor patio and BBQ for guests to use. I'd agree that it's a huge step up from any hotel room in the area, it really feels "home".Plus a washer/dryer, for guests who may be staying a longer length of time. It truly has it all. Thanks again for the review, and we can't wait to have you back soon! Visit Redwood Coast Vacation Rentals when planning your next stay. This home is very quaint and well maintained, we had a lovely visit and will definately attempt to stay here again if it's available. Thanks! Plaza Casita is the amazing and everyone that stays there loves the aesthetic, location, and amenities. It is a really great accommodation. Thank you for staying with us at Redwood Coast Vacation Rentals, a 100+ vacation home company. 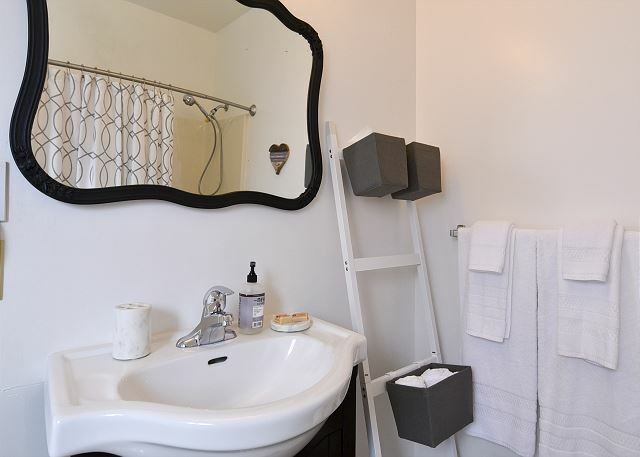 Super cute house, very clean and well stocked with the necessities. When we showed up there was coffee, cookies, and a beer waiting for us in the fridge. Cute little yard with a BBQ, although we did not use it. Very handy to have the washer/dryer in the unit as well. We left with clean laundry. Would definitely stay at the Plaza Casita again! Thanks you so much for staying with us Plaza Casita. This is a new accommodation to us and people absolutely love it as you did. I tends to stay booked, so much reservations in advance when you return. Thanks for choosing Redwood Coast Vacation Rentals, a 100+ accommodation company! I highly enjoyed this property for its proximity to the main plaza, restaurants, and grocery stores. The furniture and installations were new and modern, making the space comfortable both for relaxing and working from home. The laundry area was super clean and convenient...perfect for an extended stay or passing through on a long road trip. 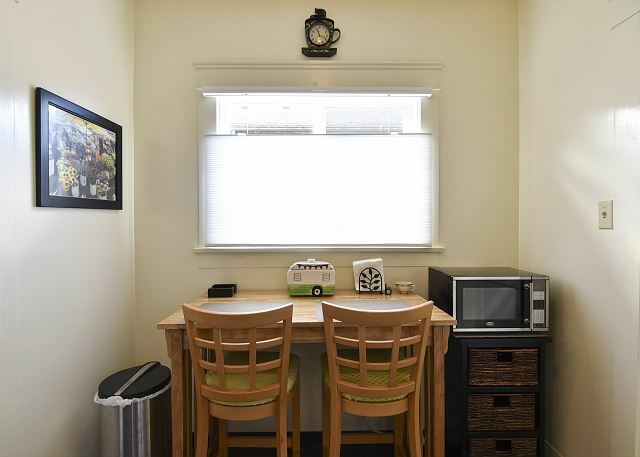 Most of all, the staff at Redwood Coast Vacation Rentals is very accessible and helpful, ensuring that all necessities and details are covered. I would highly recommend both the company and this property. Nicole, we are so glad you enjoyed your stay at Plaza Casita! 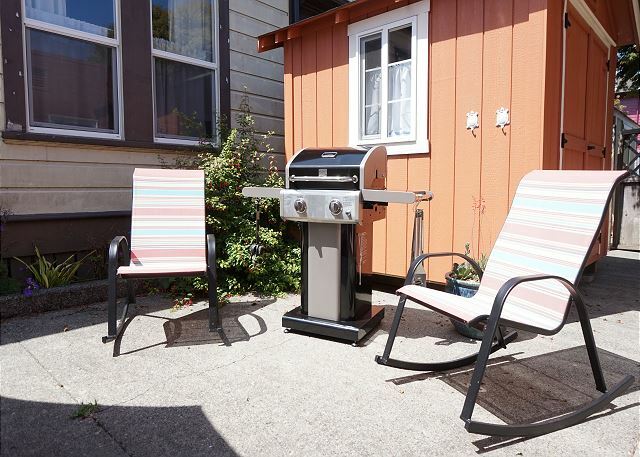 We also love the home for many different reasons, the furnishings are new and modern, the location in downtown Arcata makes walking to anything you need a possibility, and back patio deck with BBQ and table/chairs a great option for summer time dinners. 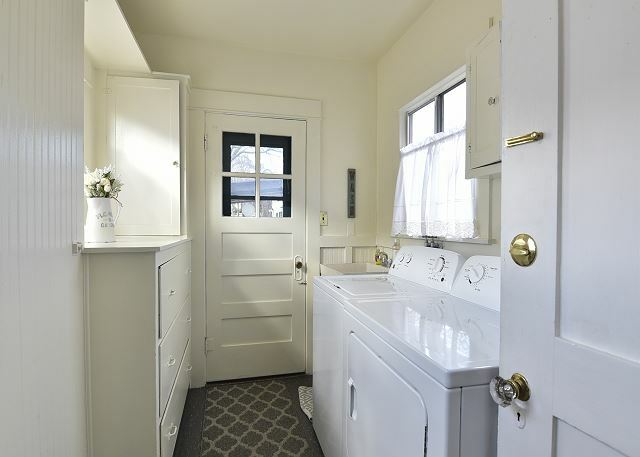 The washer/dryer and laundry room is really cute as well as functional. Thank you so much for your kind words regarding the staff, at Redwood Coast Vacation Rentals, our guests are the most important priority, your happiness is integral to our family business. We look forward to having you back at Plaza Casita, or one of the 100+ properties we offer, please check our website next time you or friends are visiting the North Coast!